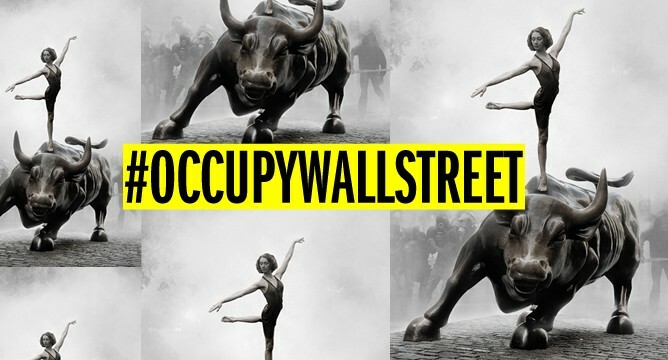 The Occupy Wall Street movement grew out of the Day of Rage protests, and was planned by a cadre of organizers, with funding, legal, and public relations assistance from numerous left-wing organizations. Such is the big picture overview coming out of a series of emails released on Mediafire, which were attained by the police, FBI, and alternative media strategist Andrew Breitbart. This mantra is ironic, even as the organizers themselves acknowledged occupywallstreet.org as a central hub, and discussed sophisticated media strategies to boost traffic. The domain was of course being run by Canadian PR firm Adbusters, not at all a sign of a “horizontal” movement. Alexa O’Brien, an IT strategist who was instrumental in helping to put together the Day of Rage, was also involved according to the divulged emails. Occupy Wall Street was also given legal counsel by the National Lawyers Guild, a truly communist networks of lawyers. Such is revealed through an email by Alexa O’Brien inquiring what NLG told the “GA Tactics Working Group” about the legal ramifications of occupying Chase Manhattan Plaza. As Sentry Journal points out, the Day of Rage attracted attention from the likes of Sahmuk and al-Jahad, two al Qaeda recruitment sites. This is not only disturbing, but ironic: compare the umbrella-like organization of al Qaeda, run by masterminds like al Zawahiri and the posthumous Osama bin Laden, a diffuse and decentralized network nonetheless controlled at the top; and Occupy Wall Street, with its known influential backers like Drummond Pike (former CEO of Tides Foundation as of 10/11), George Soros through his Open Society Institute (both “philanthropists” have endorsed a “new Bretton Woods conference“), and the big labor union SEIU, and we see organizational similarities. In addition, the Occupy Wall Street protests have been compared favorably by sympathizers to the Arab Spring, a seemingly spontaneous movement that has done much to clear the way for radical Islamist-Socialist fusion groups like Hamas and the Muslim Brotherhood throughout the Middle East. We can contrast both al Qaeda and the Occupy Wall Street organizations to the tea party, which was a true grassroots movement where millions of dissatisfied Americans sought each other out through social media and coalesced into a spontaneous uprising. While the tea party activists were branded as “terrorists” by the U.S. media and by Democrat politicians themselves, they strictly adhered to the law with no known arrests and with a record of maintaining clean, respectful, and orderly protests. Compare this “terrorist” movement with the “Occupy” protests around the country, which have led to around 2700 arrests, have become a nuisance for local businesses, have not always bothered getting permits, and have generally trashed the place wherever the protesters have set up camp. To further edify the umbrella-organization characterization, the emails mention several committees: The Direct Action Committee, the Tactical Committee, the Financial District Committee, the Labor Outreach Committee, the Community Relationships Committee, and others. One will not find this kind of organization within the tea party movement more broadly, although several groups have swooped in on the tea party and claim to speak for it, which they do not. The tea party is driven by a shared set of beliefs, such as Constitutionally limited government, free market capitalism, and fiscal responsibility, and cannot be thus co-opted. The operations of the Occupy Wall Street movement show otherwise and was specifically set up to be co-opted and driven towards pre-determined goals: more big government, more economic controls, and the U.S.’ withdrawal from the war on Islamist terrorists. Ever since Van Jones announced an Oktober Offensive, and sought a leftwing version of the tea party movement, it is clear that the media would do its best to maintain a veneer of spontaneity and decentralization for the OWS protests. For example, when Reuters announced that Soros was indeed backing the protests, an uproar from the Huffington Post and other leftwing outlets forced a retraction. Soros even got a newspaper to publish a denial that he was in any way associated with the protests. And because of the way leftwing funding is set-up, Soros’ OSI can cut Tides a check, which it then uses to fund the protests, and then Soros has plausible deniability to say that he is not specifically funding the protests. That’s the way leftwing billionaires roll (and there’s quite a few). This diffused and ostensibly decentralized manner of funding and orchestrating radical movements is consistent with the New Left’s “Critical Theory.” It is extremely important to understand critical theory and how it operates, or one will not fully understand the Occupy Wall Street protests. Essentially, at a tactical level, the point is to diffract threat perception of the radical movement by breaking it up into several grievance groups held together at the hidden theoretical level by Marxism. With no leaders, no list of demands and a focus on a democratic, decentralised system of general assembly borrowed from protests in Spain, Greece and Tunisia, it is a major challenge to retain momentum and make decisions that speak for everyone among the few hundred students, campaigners and others camped out at Zuccotti Park and their wider network of supporters. Discussing tactics in the open, where anyone – committee members included – could be an undercover police officer, presents another. Not unless the enemy knows your strategy and tactics, one should add. There is some evidence that the strategy has worked with the general population, as most Americans have not been able to discern the anti-capitalist nature of the group’s goals. Those non-conservatives who are aware of its nature support the group, at the typical one-fifth clip of liberal self-identification. This lack of awareness about the group’s goals also allows it to grow and fester up more radical elements. Deceptively manipulating the media also puts protesters in the dark about the intended goals and allows the internal manipulators working within the protests to build a pre-conceived “consensus.” The group will be too sleep-deprived, radicalized by indoctrination, cohesed as a cult-like group, and worked up through confrontation with the police and authorities to resist the handlers’ directions. Such well-known tactics of consensus shaping as the Delphi technique will no doubt lead them to the “right” conclusion. Whether the former version, which would delight our overseas enemies, or the latter version, which is not as much radical as a continuation of our present statist trend, the one demand finally selected is sure to bring grins to the faces of both statists and leftists. And what is to happen if that “demand” is not met? The left is prepared to use tactics of “civil disobedience.” What does this mean in practice? In general, there are two types attending these protest rallies who would engage in civil disobedience: “Gandhi” type peaceniks and angry, violent anarchists. How to recombine these two elements to make a harmonious movement not prone to splintering has been a problem for the left, similar to the one that led to the The Weatherman’s splintering from Students for a Democratic Society. The same peaceful vs. non-peaceful dilemma is a real thorn for the left (that is one reason the hard left is more than willing to bring in Islamists as one new “victim” group – they are not as averse to using violence to achieve the same goal of toppling the American government). In order to achieve a Trotskyist fusion of the peace activist left and the violent anarchist left, an overarching concept of “diversity of tactics” has been introduced. Essentially, protesters would be free to use whatever tactics appeal to them at any given time. So while a theme of non-violence has been overtly preached, internally, a rationalization of “self-defense” has been circulated. The tactics of harassing the police and demonization of the military has seeded an “us vs. them” mentality into the minds of the protesters. An example of haunting an official (or individual) would be the SEIU goon shadowing Andrew Breitbart at an Occupy LA protest (Capitalism – thumbs up or thumbs down?). Taunting an official, of course means trying to incite an incident. One of the OWS emails mentions keeping a recording device on hand should someone get in an altercation with the police. Several protesters are now getting in confrontations with the police, and some 2700 total have been arrested. Recent reports of violence “outbreaks” have been purposefully vague, since the mainstream media is actively running interference for the protesters; and the emails show advance knowledge of media reports. One report shows a tab of “Protesters Clash with Police” but a text body that makes who was responsible for initiating the violence open to interpretation. This sort of obfuscation is commonplace. But the record of the protesters’ slow escalation of aggression and violence is clear. This leaves us with several questions. Why are big time politicians like President Obama, Nancy Pelosi, and billionaire philanthropists like Drummond Pike and George Soros supporting the anarchist, anti-capitalist, and socialist occupiers, though they were against the “law and order” tea party? Why are supposedly anarchist protesters advocating for more social welfare programs and more government intervention, as demonstrated by the economists invited to speak at the Open Economic Forum? Will the movement sputter and fizzle out? Or will America experience its own Black Hundreds, which incited violence in Tsarist Russia? Will disgruntled minorities be pulled into the fray, adding a dangerous and volatile component to the protests? Will we be seeing Red Hundreds, posing as an anti-capitalist, anti-authoritarian movement but in practice would be the ideal statist weapon against civil society, and an excuse to implement more authoritarian economic controls and martial law? To such leadership, the college rebels are merely cannon fodder. Intended to stick their headless necks out, to fight on campuses, to go to jail, to lose their careers, and their future, and eventually, if the leadership succeeds, to fight in the streets, and lose their non-absolute lives, paving the way for the absolute dictatorship of whoever is the bloodiest among the thugs scrambling for power. Young fools who refuse to look beyond the immediate now have no way of knowing whose long-range goals they are serving. That is what the Occupy Wall Street protesters are – cannon fodder for the statists. And where are the cannons pointed? At America’s system of Constitutionally limited government, free market capitalism, and the rule of law. By “Occupying Wall Street” these poor, useful shlubs are aiding corporate control over the economy by empowering the government. When the distinction between economics and politics melts away, all semblance of Liberty dissolves with it. If one wants to fight both the corporate interests and the state, it is imperative for Americans to demand private property, individual rights, federalism, and Constitutional government, like the tea party has done. As posted on Political Crush. OWS is apparently using the empty tents strategy.